A huge exception is Matt Maher’s homage to the classic hymn, “What a Friend We Have in Jesus.” Very different from the mournful poem penned by Joseph M. Scriven in 1855, the Matt Maher version is upbeat, happy, and contagious. Both tell of our beautiful relationship with Jesus and both are supported scripturally. Yet one cries out from earthly loss and heartache while the other celebrates grace and redemption. For all of the differences between the two songs, what they have in common is a statement of infinite joy. 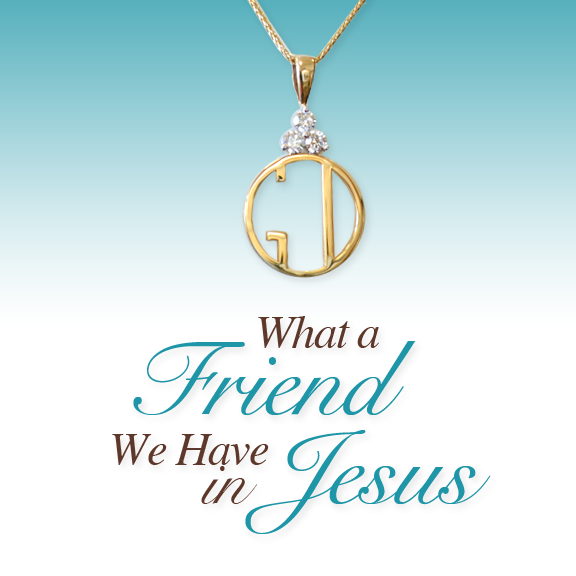 “What a friend we have in Jesus.” What a friend indeed! The friend who carries our burdens is the same one whose grace provides forgiveness from our sins and eternal life for those who believe. Both viewpoints are beautiful. Both are important. And both represent the friend we have in Jesus. In a way, I consider Great One Divine® jewelry to be a “remix” of sorts. While classic religious jewelry will always be a staple, adding a Great One Divine® is a wonderful, fresh new way to share the amazing story of Jesus. And that’s a remix I can get excited about. all our sins and grieves to bear. And forever and ever His heart is my home.